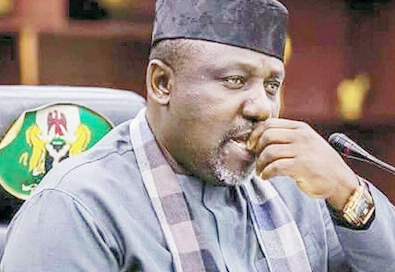 The Imo State chapter of the All Progressives Congress (APC) has suspended the state governor, Owelle Rochas Okorocha, from the party with immediate effect. His suspension followed what the leadership of the party in the state described as “gross anti-party activities”. According to the party, the suspension order is consequent upon a report of the Matthew Omegara-led disciplinary committee set up to investigate allegations of gross anti-party activities against the governor. The party leadership in the state premised the suspension of the governor on Article 21 (B) i–vi of the APC constitution as amended. Speaking to journalists yesterday in Owerri, the state capital, the state caretaker committee chairman of the party, Prince Marcellinus Nlemigbo, listed the anti-party activities engaged in by Okorocha to include sponsorship of a rival political party, Action Alliance, and its governorship candidate in the state, Ugwumba Uche Nwosu; open denunciation of APC and its governorship candidate, Senator Hope Uzodinma and open canvassing of votes for AA and its governorship, National and State Assemblies’ candidates.